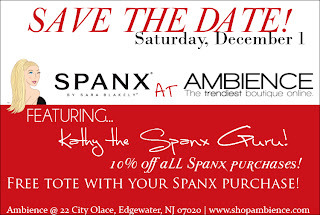 Save the Date for Spanx! Save The Date, you will not want to miss this event! 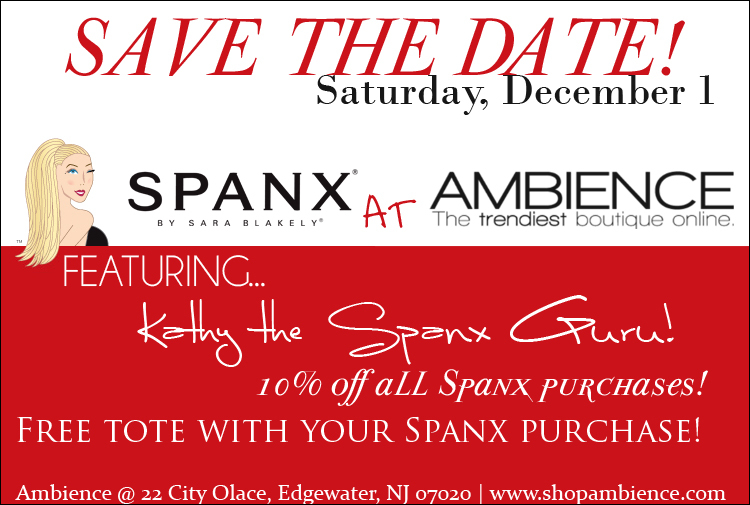 Ambience is having Kathy the Spanx guru in store on Saturday December 1st . Get the perfect underpinnings, 10% off your Spanx purchase and a free tote with your Spanx purchase.